Happy Holidays! Christmas is almost here and I’m getting into the spirit. So stop fighting people for parks at shopping centres and turn off that Christmas movie with Jonathon Taylor Thomas, because I have some Christmas stories for you to get lost in. 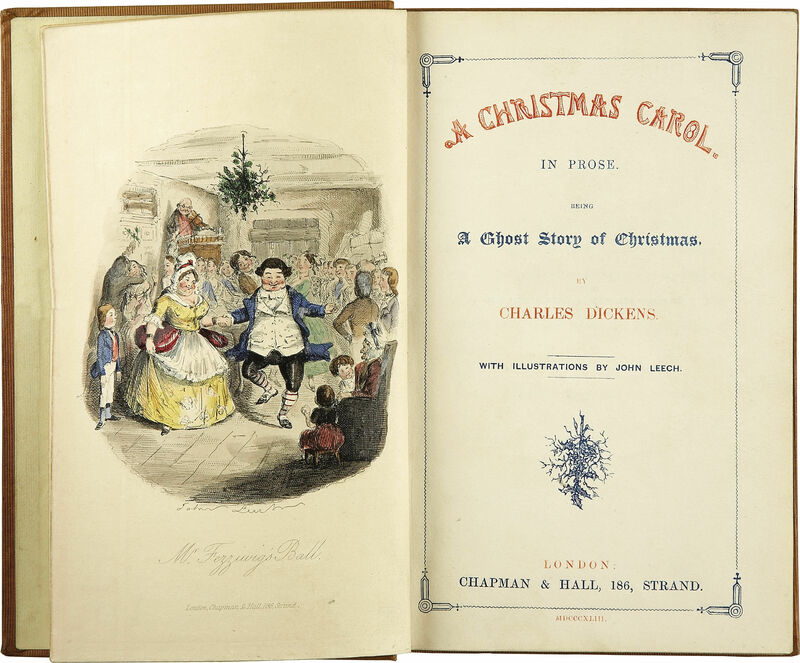 I would be a bit of a Scrooge if I weren’t to include Charles Dickens’ classic story. Like so many Christmas stories, it is a redemption narrative about a mean old man who bemoans Christmas, but through visits from ghosts sees both the consequences of his grumpiness and what he is missing out on. Even if you take the theme away from its Christmastime setting, it’s still a lovely story about what can happen when you give and accept a little kindness. This story is another that can’t not be included. It’s about a very poor couple of who each hold one thing, besides each other, very dearly. For the woman it is her beautiful hair, and for the man it is a watch that is a family heirloom. Unable to afford any gifts at Christmas, the woman cuts and sells her hair in order to buy her husband a chain for his watch. This backfires because the husband sells his watch in order to buy her some combs for her hair. The things you do for love. You know I like to bend my self-imposed rules for this column, and I’m doing it again. This isn’t actually a story, but I love it so. This is actually an editorial that appeared in The (New York) Sun in 1897 in a response to a letter from 8 year old Virginia O’Hanlon, asking if there was a Santa Claus. A couple of quotes: ‘He exists as certainly as love and generosity and devotion exist, and you know that they abound and give to your life its highest beauty and joy,’ and, ‘The most real things in this world are those that neither children nor men can see.’ Look it up. I promise you don’t be disappointed. You’ve probably heard of The Nutcracker as a ballet, but that is an actually an adaptation of a short story by E.T.A. Hoffman, written in 1816. Basically it’s every kid’s dream plus your standard fairytale ending wrapped into one Christmas tale, because not only do a little girl’s toys come to life, but she ends up marrying a prince. It also contains a great myth about how nutcrackers came to be. This short story was published in 1943 and was written by Philip Van Doren Stern. One Christmas a suicidal man is granted his wish that he was never born. He still exists in a different identity and is able to see the differences in the lives of those he loves, without him in them. He sees the negative consequences of his lack of existence, including the death of his brother, and asks for his life back with a greater appreciation for the impact he has on those around him. In fact, you may have heard this story before. You probably know it better as a film adaptation, It’s a Wonderful Life. This is the actual title of the poem that begins, ‘’twas the night before Christmas…’ Although it was originally published anonymously in 1823, it is attributed to Clement Clarke Moore. If you’ve never read it in full, it simply describes Santa’s visit on Christmas Eve. Tell you what, after reading it, I believe in Santa again. Possibly the biggest downer on this list, this Truman Capote story really drives home the theme that Christmas isn’t about what you get, but who you spend it with and what you do. It is about a seven year old boy who lives with his much older cousin. They are virtually the family outcasts, and very poor. The story describes their Christmas rituals and love for one another, but takes a poignant turn at the end when the boy reflects on those times and connects them with the death of his cousin. It is a lovely story, just probably not one for the kids. This is another redemption narrative, written by Willa Cather in 1896. Hungry on Christmas Eve, a burglar passes up an opportunity when a woman drops a parcel by giving it back to her. He realises that just as he failed in other things in his life, he is also failing as a burglar. He then tries to steal some jewellery from a house, but he is found by his mother who forgives him for his wrongs of the past and they become a family again. Awwww. 9. How the Grinch Stole Christmas! Another redemption narrative, which has echoes of A Christmas Carol. Like Ebeneezer Scrooge, the Grinch is mean hearted and despises all Christmas festivities. His solution is to descend upon the town from his mountain cave and take away all physical signs of Christmas – food, decoration and gifts. He soon realises that Christmas is not about what you have but how you have it. This touches him, so he returns everything he took and is invited to enjoy Christmas with the town. It’s lovely, plus it’s Dr. Seuss, so you can’t really go wrong. When I said A Christmas Memory was the biggest downer on this list, I lied. This is a Hans Christian Anderson fairytale about a fir tree who can’t wait to grow up, be cut down and used. He gets his wish while he is still young and becomes a family’s Christmas tree, but discovers that the joy of Christmas can’t last forever. The story ends with the withered tree being dragged outside in the Spring and burned. Definitely a downer, but there’s a lesson there for us all. This entry was posted in Culture, Featured and tagged christmas, lip top 10, literature. Bookmark the permalink.